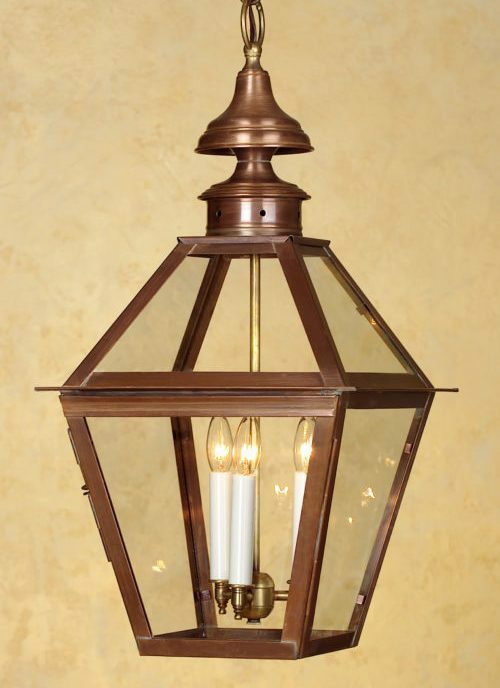 Lighting by Hammerworks H212 Colonial Copper Hanging Lantern is another handcrafted classic traditional style. While similar to the Colonial Pendant Light H112, it features a more compact body with a graceful top finial. Thus it is ideal to hang in an area calling for a smaller fixture. Also if you choose to place two fixtures within an area this is a great option. No matter what, you will always find the matching Reproduction Colonial Copper Post Light and the Colonial Copper Wall Light for a coordinated look. As always we make Colonial Hanging Lights with attention to detail and historical accuracy. In addition we offer solid copper or brass as well as custom finish options of painted black and verdigris copper. 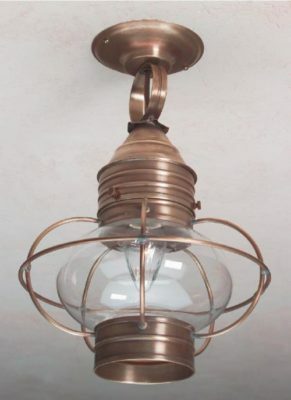 Also we offer a Colonial Pendant Light in styles ranging from primitive to traditional. As a result there is a design that is perfect for your home. At Hammerworks we deliver quality & craftsmanship one light at a time. You can install our Colonial Copper Hanging Lantern any place you need overhead lighting. Therefore whether you need something on the exterior or an interior location it is an ideal choice. First of all many customers choose to place a hanging light in the front entry or hallway. Not only that, they are often used as kitchen pendant lights. Simply group together 2 or 3 of them over a kitchen counter or island. Furthermore with so many sizes and styles to choose from, you can integrate them with any of our Colonial Wall Sconces. 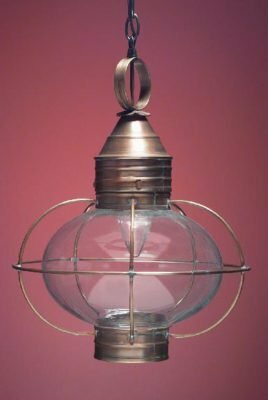 In addition you can choose one of our many Colonial Tin Chandeliers or Colonial Ceiling Lights to coordinate with any Colonial Copper Hanging Lantern. Whether your style is rustic primitive or classic traditional we offer everything you need in handcrafted lighting.